Rich sumptuous colours, roaring log fires and hopefully a sprinkling of snow… winter weddings are magical, romantic and unique! Reds and greens certainly reflect the season, but overdo this color combo and you’re big do may seem more Christmas than wedding. We recommend a less-is-more approach to your colour palette: cream, white and silver accents are the way to go. For your ceremony, try a white aisle garnished with subtle winter flowers along with white satin ribbons. When it comes to the flowers we recommend fuller flowers like white hydrangea, soft ranunculus and white tulips. Play up the season with a white, simple yet classy wedding cake. Get your baker to decorate with silver accents and white ribbons, this will create the ultimate sophisticated showpiece for your big day! If you’re planning a simple winter wedding, you’ll need sophisticated jewellery to complete the bridal look. That’s where we come in; our diamond drop earrings are the perfect match for a simple sophisticated bride! Weddings are where two people become one, it’s a highlight event for both the bride and groom. Having said that, it is also true to state that the bride’s dress is the highlight of the day. Dress the part and opt for lace, a lot of lace actually, in true vintage fashion. Champagne coloured bridal gowns are always the hot favourite for a vintage wedding. Remember, the veils should to be longer and need to trail down the floor for the true vintage feel. Don’t forget a red lipstick as the final touch. No wedding is complete without a cocktail hour. Considering you’re having a winter wedding, guests will expect warm drinks like hot chocolate and warm apple cider, but here’s when you can surprise them. Serve up varieties of colourful punch in old mason bottles for the ultimate vintage accent. If you’re ready for a vintage winter wedding, you’ll need antique jewellery to complete the bridal look. 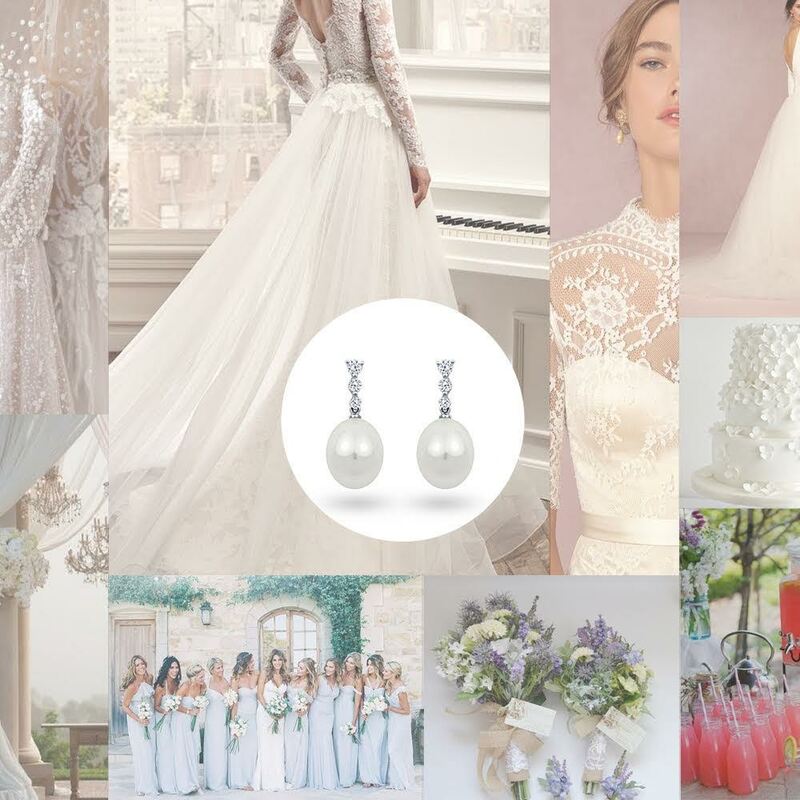 That’s where we come in; our pearl drop earrings are the perfect match for a vintage loving bride! Opulence is key to a colourful wedding; you’ll need a ballroom with ornate décor and impressive lighting, both of which give instant ambiance. Cosy mood lighting is key for the ultimate colourful wedding. If you have high ceilings, fill the space with chandeliers or draped fabric to make it feel more intimate. 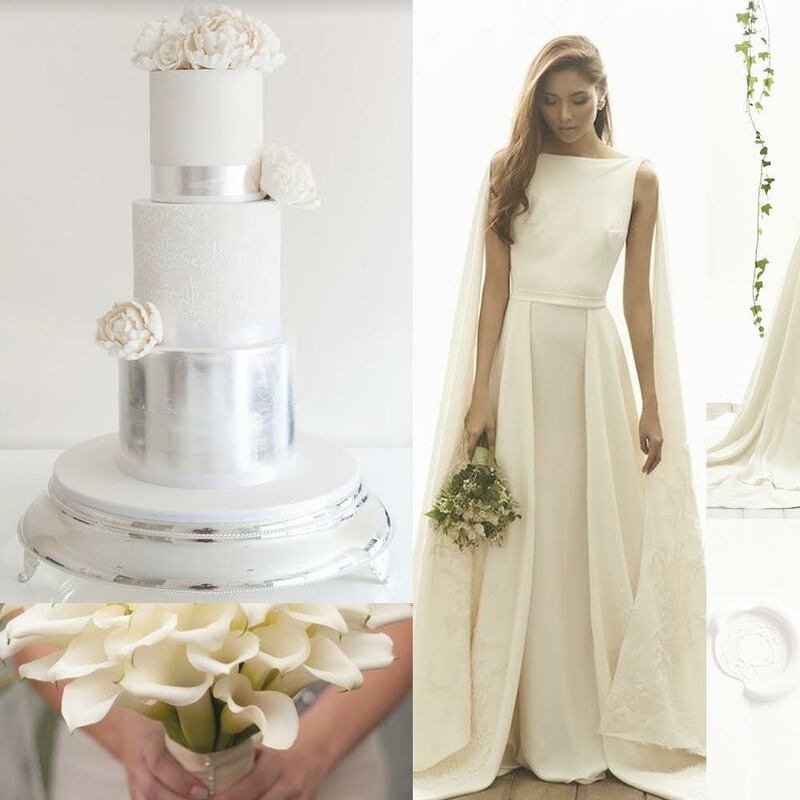 A colourful and quirky wedding does not mean you cannot wear the traditional white gown. We suggest a Gatsby styled gown, with embroidery and an undertone that matches your colour theme. Pair your choice of a white gown with colourful heels and statement accessories for the ultimate glam look. 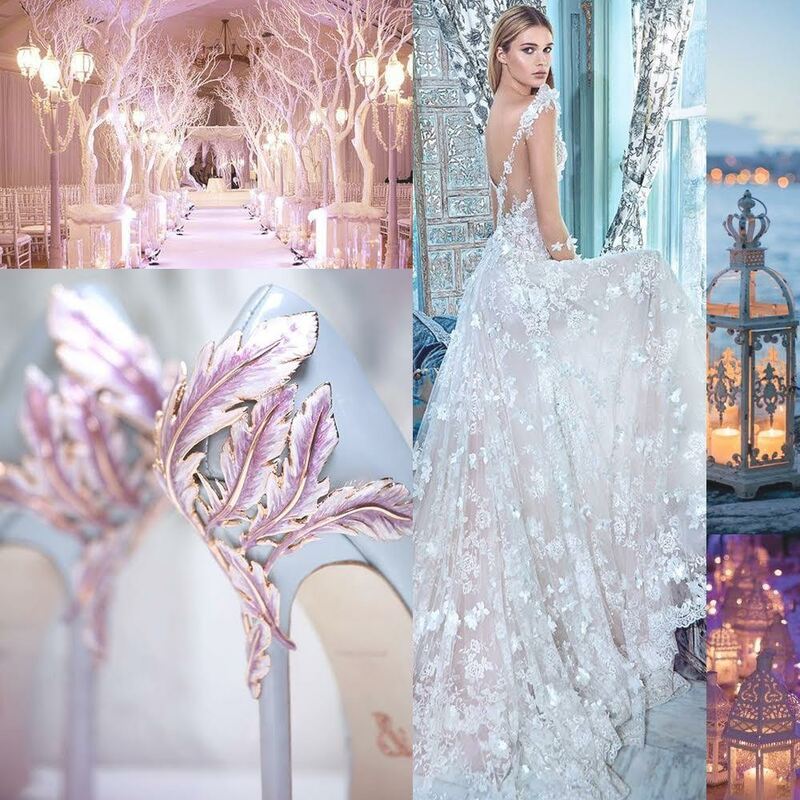 Monochromatic colours or various shades of one hue, as well as combinations ranging from sultry jewel tones to boisterous hot hues, will have a bold impact on your guests. Remember to just “go big or go home” and your wedding shouldn't be anything less. If you’re ready for a colourful winter wedding, you’ll need eye-catching jewellery to complete the bridal look. That’s where we come in; our multi gem drop earrings are the perfect match for a daring bride! That’s all for today folks! We’ve talked through simple, vintage and colourful winter weddings themes. If you’re still struggling to decide, you can always decide on a fusion theme: a simple vintage yet colourful winter wedding.